Sri Lanka and Singapore on Tuesday signed a Free Trade Agreement (FTA) aimed at boosting trade and investment between the two countries. The signing took place following discussions between visiting Prime Minister of Singapore Lee Hsien Loong and Sri Lankan President Maithripala Sirisena, Xinhua news agency reported. Lee Hsien arrived in Sri Lanka on a three-day official visit on Monday on an invitation extended by Sirisena. 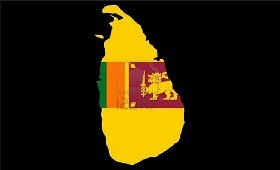 "The FTA will boost the trade between the two countries as this would facilitate duty-free access to selected goods and services of each other," the Sri Lankan President's Office said in a statement. Some of the areas set to benefit from the FTA included information and communications technology, real estate, hospitality and tourism, as well as energy and logistics. A 35-member business delegation was accompanying the Singaporean Prime Minister to Colombo. Lee Hsien was expected to attend a business forum where leading investors and businessmen from both Sri Lanka and Singapore will take part.